On Thursday evening, 12 March, Nordoff-Robbins Music Therapy Australia (NRMTA) hosted its 17th Annual Music Quiz fundraising event at Luna Park, a music trivia night hosted by a number of Australia’s legendary musicians. 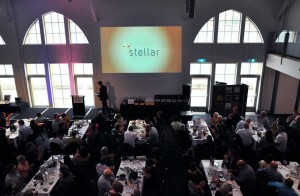 Inflight entertainment content service provider, Stellar Entertainment, showed its support as a proud sponsor at the event, with a number of the team in attendance. Stellar Entertainment recently donated its entire physical CD library to Nordoff-Robbins Music Therapy Australia (NRMTA) providing music for children with disabilities. Founded in 1974, Stellar Entertainment is a leading content service provider, providing inflight entertainment (IFE) to the world’s leading airlines. general photo taken during the event. Nordoff-Robbins Music Therapy Australia (NRMTA), is a music therapy program that brings healing and happiness to children with disabilities through the power of music. A non-profit charity, NRMTA was established in 1984 to promote and develop the understanding, training and practice of creative music therapy.